TCG Ç-151. Photo: Yörük Işık. Used with permission. 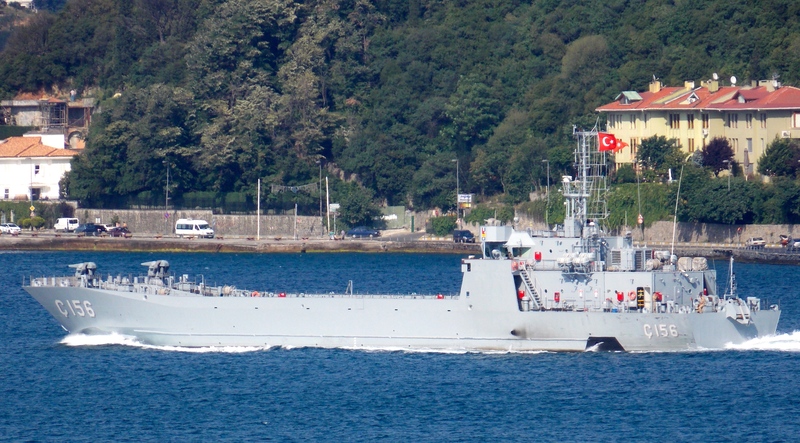 TCG Ç-155. Photo: Yörük Işık. Used with permission. TCG Ç-156. Photo: Yörük Işık. Used with permission. TCG Ç-157. Photo: Yörük Işık. Used with permission. 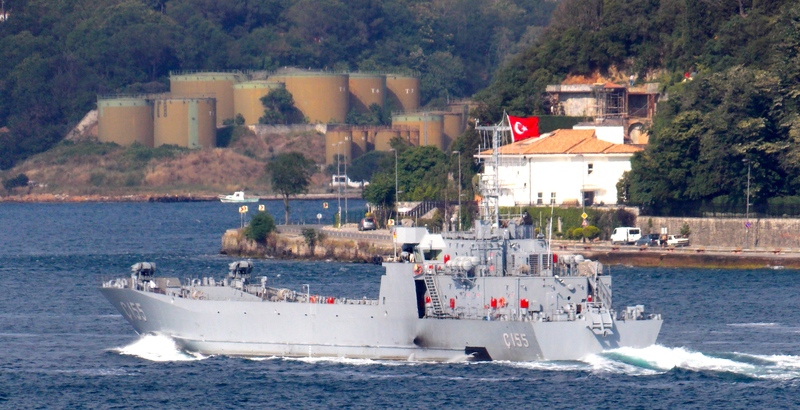 On 30 June 2014 a fleet of 4 landing craft was sighted moving towards the Black Sea. 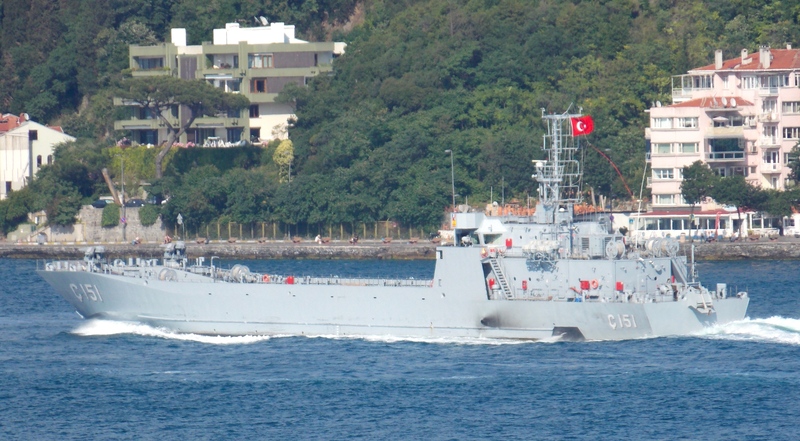 TCG Ç-151, TCG Ç-155, TCG Ç-156, TCG Ç-157, the half of the 8 new LCT craft Turkish Navy has procured sailed to an unknown destination. Together they could carry up to 12 main battle tanks or up to 1000 troops.